Landscape and biodiversity of the High Range: The Nymakad Estate lies below the sholas and grassy slopes of Eravikulam. 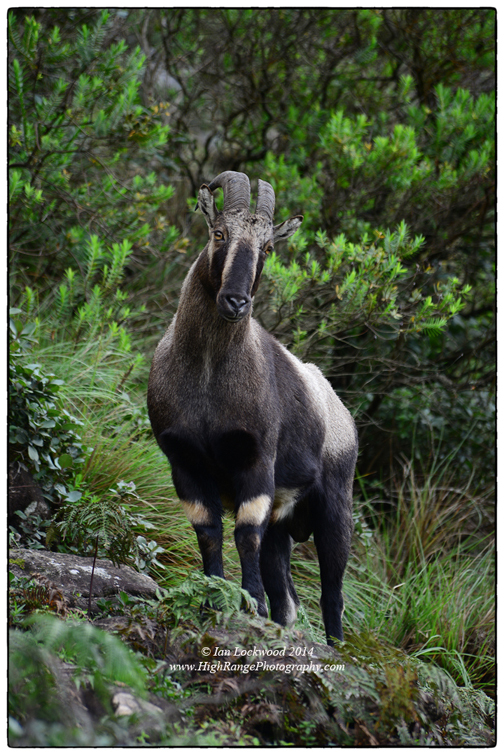 Nilgiri tahr, like this saddleback, are the key endemic species that this protected areas hosts. Road to Munnar through Chinnar Wildlife Sanctuary. Looking south into the High Range from Manjampatti Valley. Looking east to the Palani Hills over Kukkal and Manjampatti from the Chinnar-Munnar road. The dry Amarvathi reservoir is in the foreground. In the early 1990s, and through to the millennium. I regularly visited Munnar and the High Range, seeking out a better understanding of the area’s ecology and landscape. The story of those trips and learning adventures are described in several articles and the High Range Diaries (a series of blog posts that are in production). The area had a signification impact on me, as it has on naturalists, photographers and other dreamers before and after my time. I read about landmark studies and then communicated with naturalists such as ERC Davidar, George Schaller and Clifford Rice who had spent time in Eravikulam in past years. Rom & Zai Whitaker, Belinda Wright and others who have contributed to India’s conservation story shared anecdotes of their visits to Eravikulam with me. I made contact with contemporary scientists, such as PV Karunakaran, studying ecological aspects of the park. The Kerala Forest Department who were taking over all management activities from the High Range Wildlife Preservation Society (HRWPS) in the 1990s, helped facilitate my understanding. I was privileged to take shelter with forest guards on my first visit in 1993 and later participated in an annual tahr census. Wardens of Eravikulam starting with Sivadas, James Zacharias, and Mohan Alembath were key facilitators as I sought to explore Eravikulam and study it from the Western Ghats perspective. 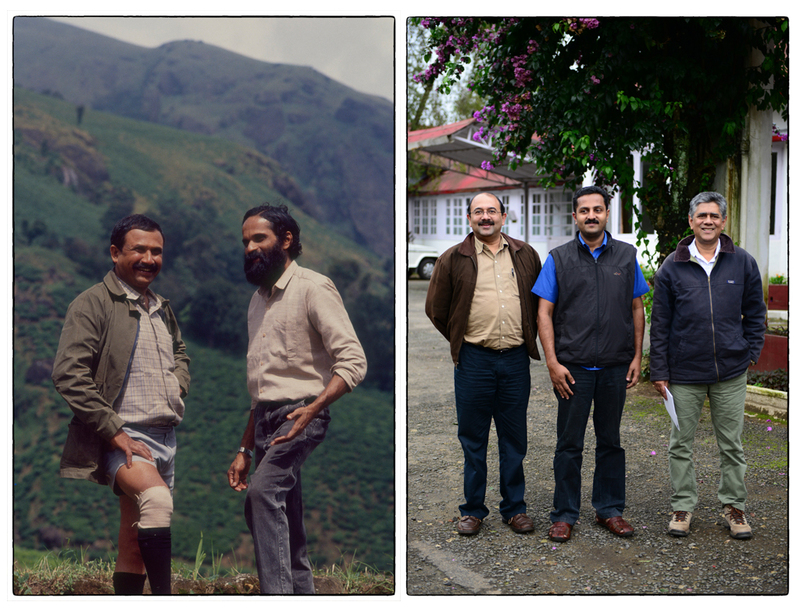 The HRWPS under the patronage of Tata Tea then and led by the incomparable KN Changappa, was supportive and always interested in working to support landscape-based approaches to conservation in the High Range-Anaiamalais-Palanis bloc. It was in Eravikulam that I found the extension of the Palani Hills and discovered myself and a path to follow in life. Numerous excursions followed my first visit to the High Range and I was fortunate to have my cousin Anna, parents Merrick & Sara Ann and several other friends as companions on those memorable visits. This summer I was accompanied by my seven-year old daughter Amy and I was looking to renew contact with friends, the wildlife and landscape. It has been many long years since I had stayed in Munnar and I was wary of going back to a place that I had known well before the onslaught of the “God’s Own Country” Kerala tourism campaign. Perhaps it was the fact that it was the monsoon season and the rain had flushed the tourists off the hills (as we like to think in Kodai), but the area wasn’t as crowded as I had expected. Munnar had grown significantly with the proliferation of high-end hotels and resorts in the vicinity. Prasad, my old friend who distributes Thaliyar tea and is a correspondent of the Malayalam Manorma, filled me in on developments in the hills since my last visit. It hosts the most extensive and least disturbed examples of the shola/grasslands mosaic. This high altitude ecosystem that is unique to the southern Western Ghats has been decimated by the introduction of non-native timber plantations, hydroelectric dams, mines and expanding hill stations in other ranges of the Western Ghats. Eravikulam tells a story of a landscape prior to these changes. Nilgiri tahr (Nilgiritragus hylocrius) have one of their most secure homes in Eravikulam and it has been estimated that half of the wild population (still roughly pegged at 2,000-2,500) of this endangered ungulate are found within its borders. That was the situation when ERC Davidar, George Schaller and Cliff Rice conducted their surveys and studies (during the 1960s-80s). As far as I know, that ratio has not changed. There have been significant population recoveries in Mukkurthy National Park in the Nilgiri Hills, but in many remote tahr habitats they are under pressure from poachers and habitat change. 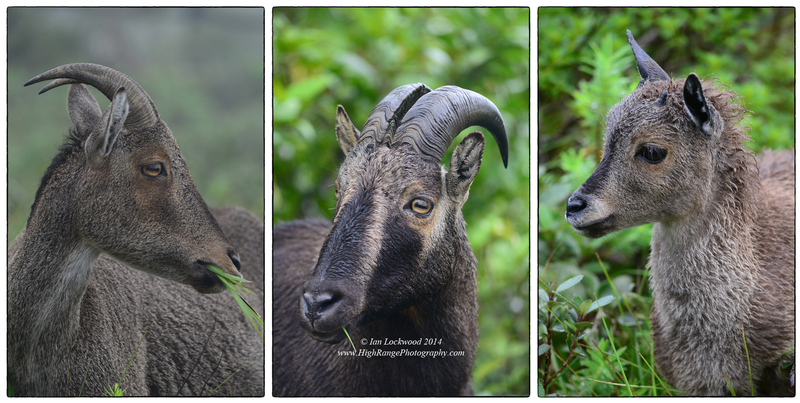 WWF India is now conducing the most comprehensive studies of Nilgiri tahr populations in the Western Ghats. Conservation management has been a unique story of success involving government agencies (the Kerala Forest Department’s wildlife wing) and NGOs (HRWPS). There are few examples in India or South Asia where such an effective partnership has been put in place for the benefit of biodiversity conservation (see my articles below for a more detailed exploration of the history and circumstances that helped contribute to this). Nilgiri tahr (Nilgiritragus hylocrius) saddleback approaching the tourist zone of Eravikulam National Park. Generations of collaboration between the High Range Wildlife Preservation Society and the Kerala Forest Department. N Changappa & Sivadas (1994). Mohan, Prasad and Jo Jo (2014). Photographs by the author. On our trip Amy, John (our friend, guide and driver on many Western Ghats adventuress) did a long loop that took us from the Kodaikanal down to Palani, west to Udumalpet and then south to Munnar through the Anaimalais Tiger Reserve, Chinnar WLS and Marayoor valley. We returned the southern way through Devikulam, Bodimetu, Bodi, Theni and Periyakulam. The contrast between the parched dry hills near the plains and the wet highlands was striking. In Munnar I had a chance to take Amy up to the Rajamalai tourist zone on both mornings and we were thrilled to have several intimate encounters with tahr. When you’ve hiked through the whole Palani Hills ranges just to glimpse a shadow or dropping of these sure-footed ungulates, the sight of them feeding next to you in Rajamalai is a bit disconcerting! I was impressed with the effective controls in place from the Forest Department to manage visitor numbers. There weren’t any signs of waste dropped by carless tourists. To access the tourist zone we had to ride a bus that helps the authorities control numbers. Visitors are kept on the road and not allowed to stray up the slopes. This is a welcome change from the free-for-all of the late 1990s when Munnar had been “discovered” as a tourist destination and the forest department and HRWPS were struggling to enact management controls. A highlight during our short visit was interacting and spending time with the warden Prasad and his deputy Sanjayan. We enjoyed an early morning together at Rajamalai looking for saddlebacks who had descended from the misty cliffs to seek out females in heat. There was a light drizzle and we had several close encounters with White Bellied Shortwings (Brachypteryx major) in addition to a dozen or so tahr. Soon after, the tourists started arriving and Amy and I said our thank yous and headed south though valleys of tea towards Bodi. We promised to spend longer on the next visit. Panoramic view of Munnar during a break in the South West Monsoon. Note the church, mosque and temple in the image. The once sleepy tea-planting town is named for the three rivers that converge here. 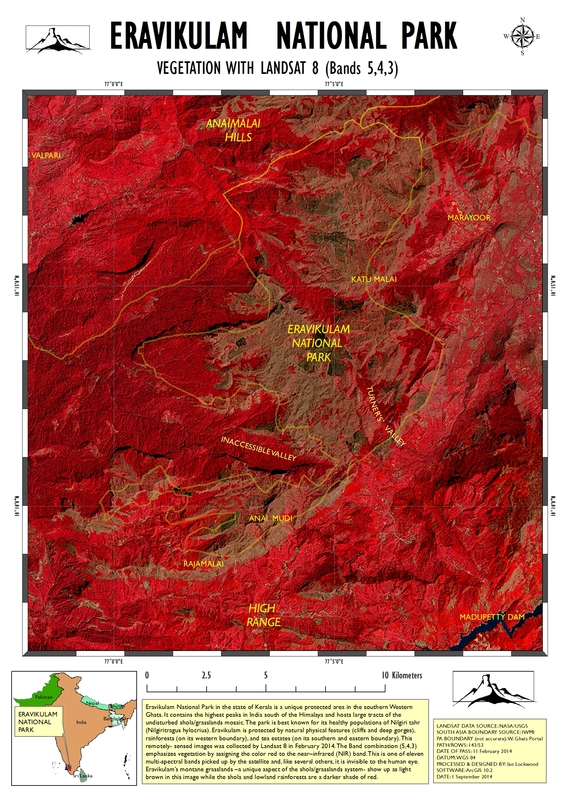 Landsat map of Eravikulam showing significant locations and a very rough park boundary. 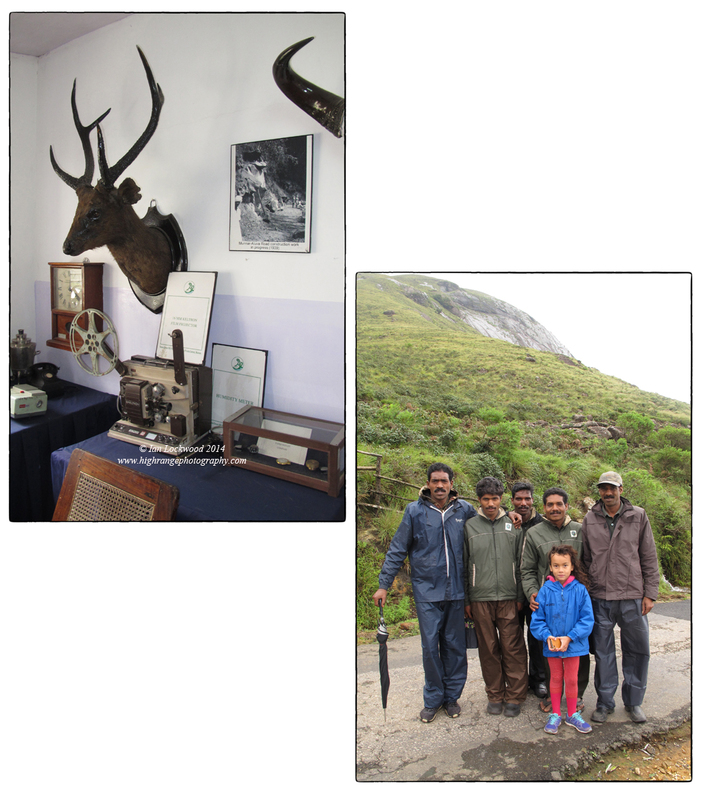 Snapshots form a visit to Munnar: The Tea Museum and Amy with Mudhuvan guards at Rajamalai. 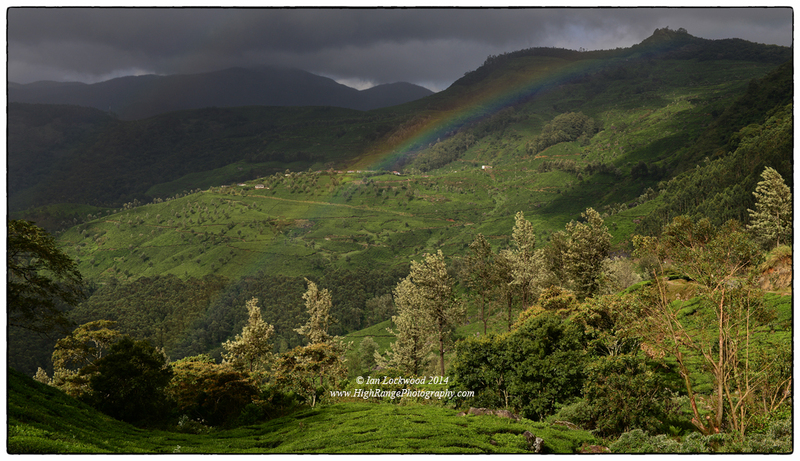 Small rainbow over the Thaliyar/Vagavurai valley. Alembath, Mohan. Nilgiri tahr Info. Website. Lockwood, Ian. High Range Photography. “Eravikulam and the Anaimalais.” Web. Karunakaran, P.V. Ecology and conservation of the grasslands of Eravikulam National Park, Western Ghats. Dehra Dun, Wildlife Institute of India, 1998. Print. Nair, Satish Chandra. The Southern Western Ghats: A Biodiversity Conservation Plan. New Delhi, INTACH, 1991. Print. Schaller, George B. Stones of Silence: Travels in the Himalaya. University of Chicago Press, 1980. 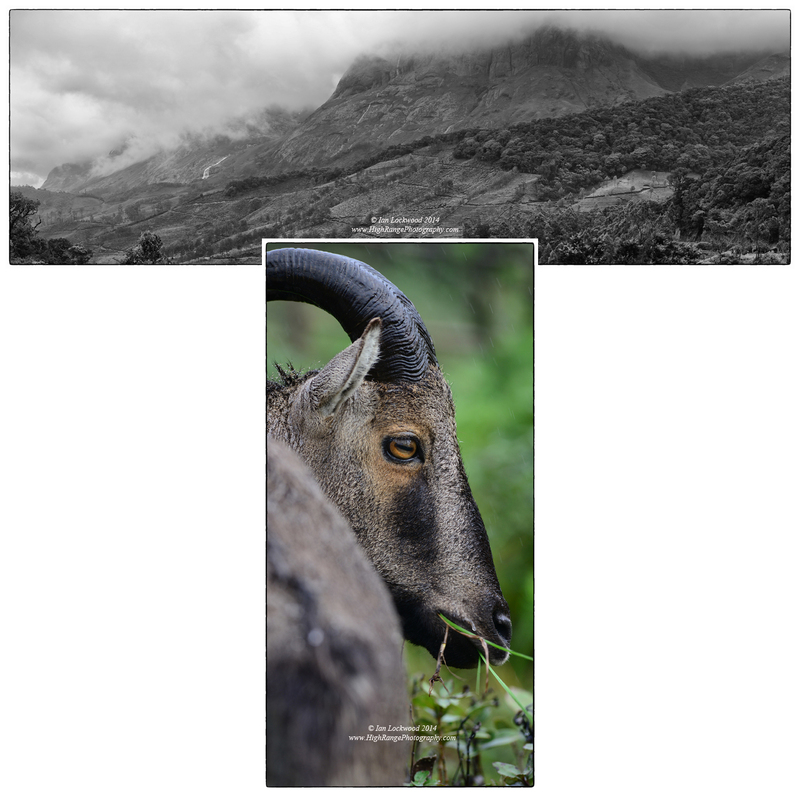 Print (see “Cloud Goats” on page 150 for a detailed account of Nilgiri tahr). Rice, Clifford G. (1988). Reproductive biology of Nilgiri Tahr. Journal of Zoology, London, 214: 269-284. Web. Shaheed, G. “Goats Own Country.” Frontline. 11-2 February 2006. Web. Vergis, Sharon et al. “Survey of Isolated Populations of Nilgiri tahr in Kerala India.” Journal of the Bombay Natural History Society. 108. Jan-June 2011. Web. I loved the photos of the thar and the beautiful panoramas. Thanks Ian. Enjoyed this a lot. Thank you.